Rev-A-Buzz features a detailed profile for every Rev-A-Shelf product. Be Inspired. We Encourage It. Enjoy complete accessibility to your under sink vanity with Rev-A-Shelf’s 486 Series. 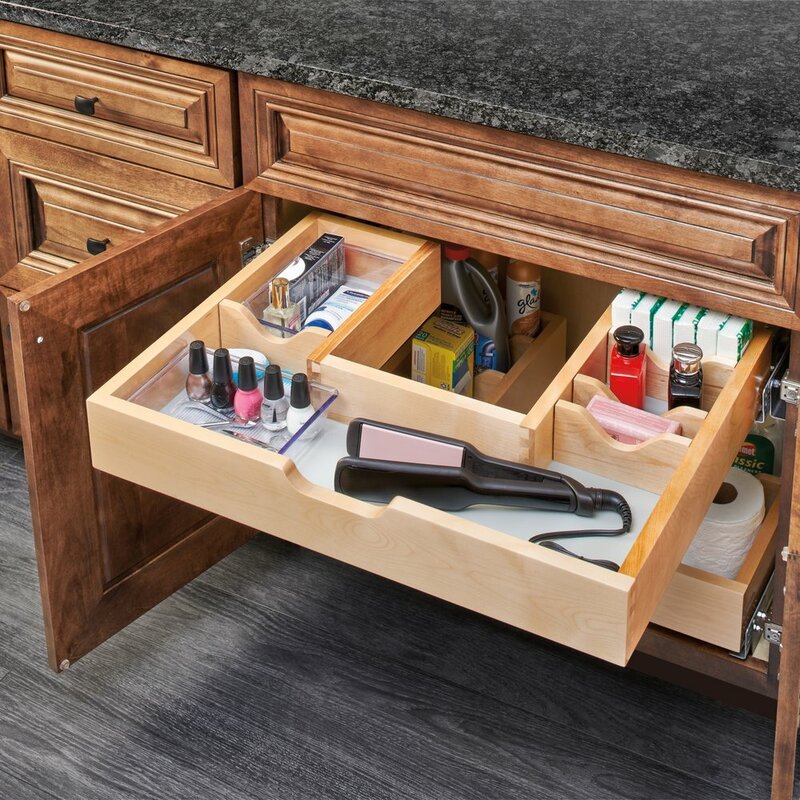 Designed for 30” vanity sink base cabinets, this unique u-shaped organizer features maple construction with non-skid vinyl lining and full-extension, 90 lb. rated, concealed slides with BLUMOTION soft-close and offers either side or bottom mount installation for the ultimate convenience. Our 486-BM Series includes one 8 qt. polymer container in metallic silver, four adjustable dividers and bottom mount brackets. Our 486-SM Series includes two acrylic bins, four adjustable dividers and side mount brackets. Once a week Rev-A-Shelf product details straight to your inbox.